Some Christmas Eve eve lights. After dinner last night we cruised by some Austin neighborhoods that light it up during the holidays…37th street, Clarksville, and a few in between. Author sheila365Posted on 12/24/2017 12/24/2017 Categories Austin Images, Field Trip, Fun, Funky, inspiration, Life, LightTags 365 project, 37th street, Austin, christmas lights, Clarksville, photoblog, photography, weird2 Comments on Some Christmas Eve eve lights. An open letter to Google. December 21, 2017 Dear Google, I think it would be amazing if you sent your google maps camera cars around at night at Christmas time to take pictures of homes decorated with lights and lawn displays, and show THAT on Street View. Sincerely, – sheila365.com P.S. Merry Christmas! Author sheila365Posted on 12/21/2017 Categories Gadgets, inspiration, Life, LightTags 365 project, Christmas, Christmas cheer, christmas lights, google maps, holiday lights, open letter to google, photoblog, photography, street viewLeave a comment on An open letter to Google. Scenes from a boat parade. Last night Mike and Lori joined us to watch the Lake Travis Christmas Boat Parade. We put a few lights on Nirvana and cruised along with the other boats. It was a beautiful, not-cold night; fun! Author sheila365Posted on 12/03/2017 Categories Fun, inspiration, Lake, Life, LightTags 2017, 365 project, christmas boat parade, christmas lights, Lake Travis, lake travis holiday boat parade, photoblog, photography, SailingLeave a comment on Scenes from a boat parade. We made it to the Trail of Lights tonight in Austin’s jewel, Zilker Park, for the first time in probably 5 years or more. We used to go more frequently, but it has either not been easy to get down there in recent times, or it has been postponed for financial reasons. I remember, in the good old days, being able to decide at the last minute to go, and just zip down to the park and park for free on the grassy field and walk over. No more. We had to plan ahead. I got a parking pass online which made it a little easier, but the traffic was really crazy, and the crowds were enormous. In any event, the lights were simply lovely. This is a view of a bunch of different lights, with the Zilker tree in the background. I love the tree lights. And one last look back towards downtown. It’s a little blurry, but you can see some of the Trail lights, some of the city lights, and the waning Cold Moon. Author sheila365Posted on 12/19/2013 Categories Austin Images, Fun, Life, LightTags 365 project, Austin, christmas lights, photoblog, photography, postaday, postaweek, trail of lights, zilker park5 Comments on Trail of Lights. I was up early this morning padding around the house. We usually leave the little white Christmas lights on at night. I have always loved to stare at the glow of Christmas lights at night. I remember doing that when I was a kid. We always had an artificial tree. The same one that we took with us every time we moved. With the big glass bulb colored lights. You know… the kind that would burn your finger if you touched them after having been lit for an hour or so. It’s amazing more homes didn’t burn down back then. I remember sitting watching the tree lights that decorated my little trees over the years in my dorm or apartment. Somehow I remember those trees being extra pretty during my “on my own” college years. This morning as I walked down the hall I stopped to admire this year’s glow. So pretty. I just had to snap a shot, too. Author sheila365Posted on 12/23/2012 Categories Family, Life, LightTags 365 project, Christmas, christmas lights, home, light, Merry Christmas, photoblog, photography, postaday, postaweek5 Comments on Christmas Eve-eve! Mom and I set up her tree today. It looks nice. I took several photos of it, hoping for one to post here. On this one, the autofocus was a bit whacky. And it turned out blurry. 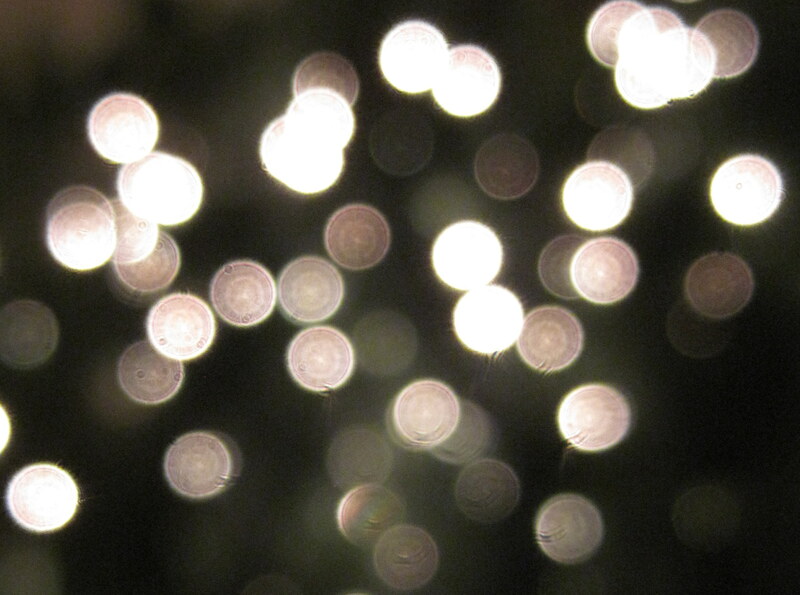 But I like the bokeh effect of the lights. So… this one is the winner. Author sheila365Posted on 12/03/2012 12/05/2012 Categories Family, Fun, Life, LightTags 365 project, bokeh, christmas lights, christmas tree, photoblog, photography, postaday, postaweekLeave a comment on Accidental bokeh. I’m taking my time getting my jolly on. I baked a bunch of cookies yesterday for a friend’s party. We picked out a Christmas tree yesterday and put stood it up in the house, but didn’t get the lights on until today. Maybe tomorrow i’ll dig out all the boxes and finish decking the halls. Author sheila365Posted on 12/11/2011 Categories LightTags 365 project, bokeh, christmas lights, photoblog, photographyLeave a comment on Twinkly.